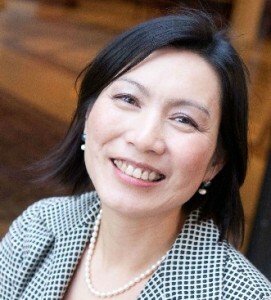 Emi Kiyota, Ph.D. an Environmental Gerontologist and organizational culture change specialist, currently serves as a consultant to implement person-centered care practice in long term care facilities. Having published journal articles and book chapters in Germany, Japan, Switzerland, and the United States, Emi has done pre-design programming for senior housing and addiction treatment centers in the United States and abroad. In addition to making a vast array of contributions to national and international initiatives focused on quality improvement in the built environment for long-term care and aging services, Emi holds great concern for the needs of elders in the developing world. Over the past several years, Emi has dedicated her energies to developing ageing valued community projects in Sri Lanka, Bhutan, and the Ivory Coast. To this end, Emi has formed Ibasho, embodying the Japanese concept of “a place where one feels at home being one’s self” with a group of like-minded colleagues. Ibasho aims to create a socially, economically, and environmentally sustainable communities that value their elders. With this vision, She has involved in development for housing and services for elders in Bhutan, Sri Lanka, and Ivory Coast. She also facilitated to build the first innovative “Ibasho cafe” in disaster area in Japan after the Great East Earthquake/Tsunami, and is implementing this initiative in Philippines. Emi was awarded as a Bellagio Fellowship for a one month residency on an ‘Innovative Response to Global Aging’ from the Rockefeller Foundation. She worked on developing her idea on creating a process for community planning that embraces and engages elders for the benefit of all. A frequent speaker and lecturer at local, national, and international venues to audiences of both academics and practitioners alike, Emi received her Ph.D. in Architecture (Environment and Behavior Studies) from the University of Wisconsin-Milwaukee, as well as her Master of Architecture and Master of Science in Horticulture Therapy from Kansas State University.